Why am I posting about a recent interview with Josh Kantor, the organ player for the Boston Red Sox, on an accordion blog? Well for one, back in my music school days, the Red Sox and I were neighbors. 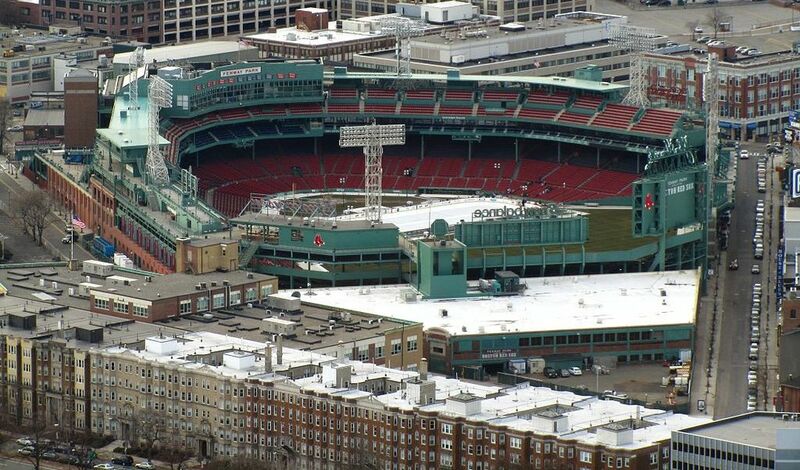 My apartment was right next to Fenway Park, and on game nights you could open the windows to let in the sounds of that historic stadium: The echo of the announcer, the cheering of the crowd, and yes, the music of that organ. So there’s a personal nostalgia factor here right off the bat (so to speak). I’ve done a lot of study and research about the history of ballpark organ music in Boston and in other cities. [I] have tried to borrow from and preserve the best and most beloved traditions of that, as well as updating it and having it evolve and be this thing that’s relevant in the modern age, whether it’s through playing newer songs or taking requests or whatever the thing is. I play pretty much entirely by memory and by ear. There was a time in my life as a child when I was pretty good at reading sheet music, but I just haven’t kept up with it, and those skills have kind of deteriorated. But I have a lot of ear training, so I’m usually able to hear a song and play it back, which is just something that comes from a lot of practice. Anyway, the whole interview is a great read. Check it out! This entry was posted in Accordion, News, Tips by Jeff Jetton. Bookmark the permalink.